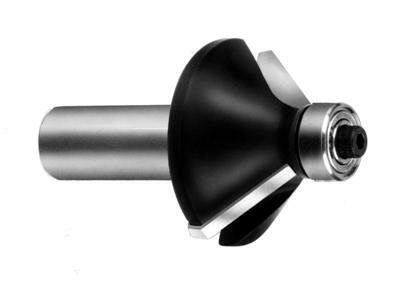 3/8" Carbide Tipped Double Edge Flush Trim Bit with Bearing. Excellent for Hand fed applications.CED 3/8" CEL 1" SHK 1/4" OAL 2-3/4" 2 Flutes Replacement bearings and allen wrench available. 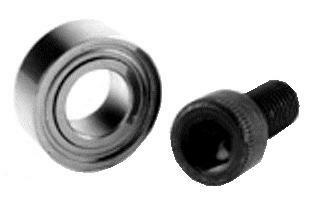 Replacement Bearing Kit 1/2" OD x 3/16" ID Use with Flush Trim Bits 28-54, 28-57, 28-59, and 28-64. Also with all corner rounding and all chamfer bits. Replacement Bearing Kit 3/8" OD x 3/16" ID Use with Flush Trim Bits 28-50, and 28-51.